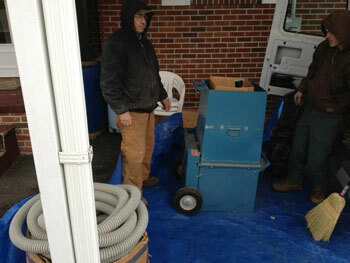 How is your attic insulation? 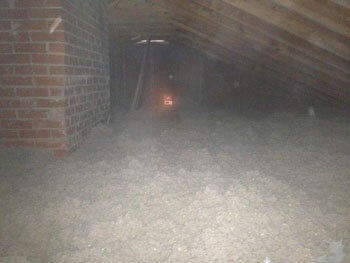 Did you know that u p to 80% of your heat loss/gain is through your attic? Adding attic insulation can increase indoor comfort and lower y our utility bills by as much as 50% depending on your present layer of insulation. Check out the photos below. 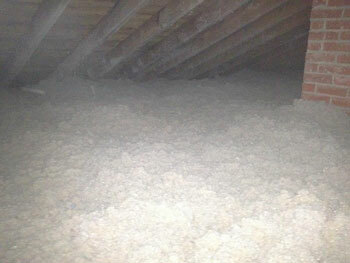 Attic space after installing 6" of cellulose insulation. They already had R-13 between the joist spans. Adding 6" made this R-38 plus filled all voids. Another view of the attic space after blowing in 6" of cellulose insulation. This is the most cost effective way to gain comfort, and save on your utility bills.